Today we get a summer view of the Loyalsock Canyon Vista at World's End State Park. We last stopped at this location in the autumn, with fiery fall colors adorning the leaves of the trees. That visit is chronicled in this article. The fiery fall colors are now replaced with lush greenery and a different take upon the spectacular views offered in this location. The Loyalsock Creek and its giant boulders look incredible from this vista, roughly 1100 feet higher than the lowest point down in the canyon. Thanks to the ripply nature of the mountains, and the sporadic clouds, the shadows cast upon the canyon are dazzling to see. This vista is heavily shaded, with a forest filled with many stately trees, especially Hemlocks. Picnic areas are located in this spot, if you would like to pack a picnic lunch and soak in these views. Hiking trails lead in and out of the valley, helping make this such a stunning destination. The creek is a popular place for canoeing, kayaking, fishing, and wading. Many waders were seen as the creek's edge, and in the official swimming area. As you descend to the valley floor, you will be sure to see so much beauty. 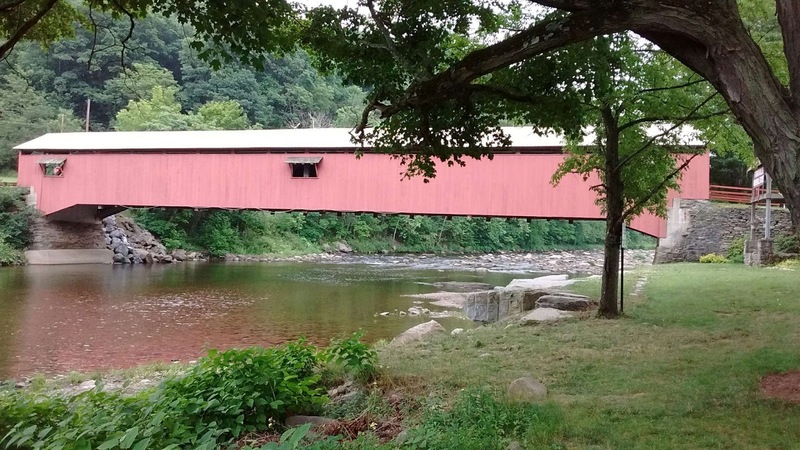 Head to the small borough of Forksville and see the beautiful, 152 foot long Burr Truss covered bridge that dates back to 1850, the Forksville Bridge. 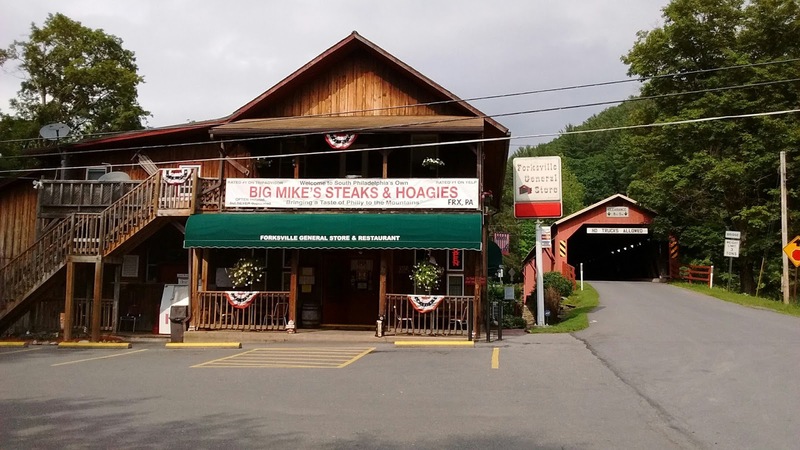 If you have worked up an appetite, be sure to check out the Forksville General Store and have an unlikely delicacy in their eating area, an authentic Philly cheesesteak, made by some South Philly natives. Big Mike's Steaks and Hoagies has fantastic food. Be sure to check out the area of Worlds End State Park if you are looking for a relaxing place that is off the beaten path.